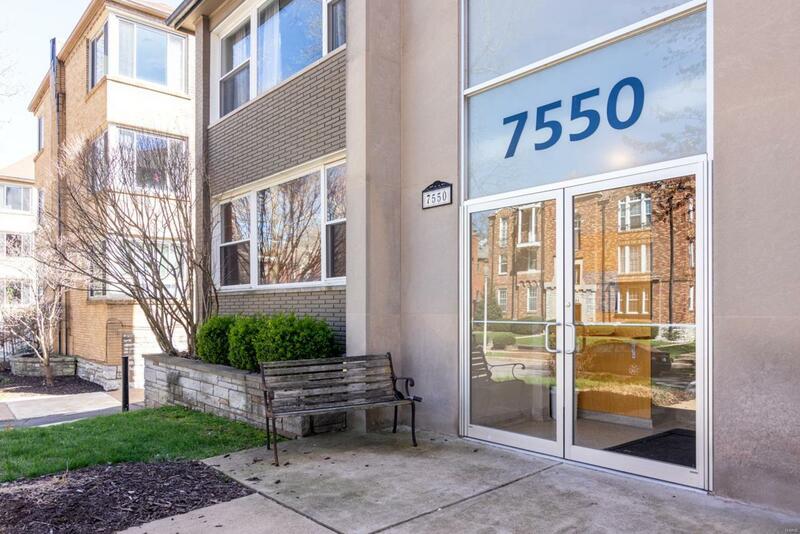 First floor, high end condo in the heart of Clayton in the beautiful Moorlands neighborhood. This unit features a modern kitchen with 42" custom maple cabinetry, granite counters, stainless steel backsplash and appliances, breakfast bar and breakfast room. 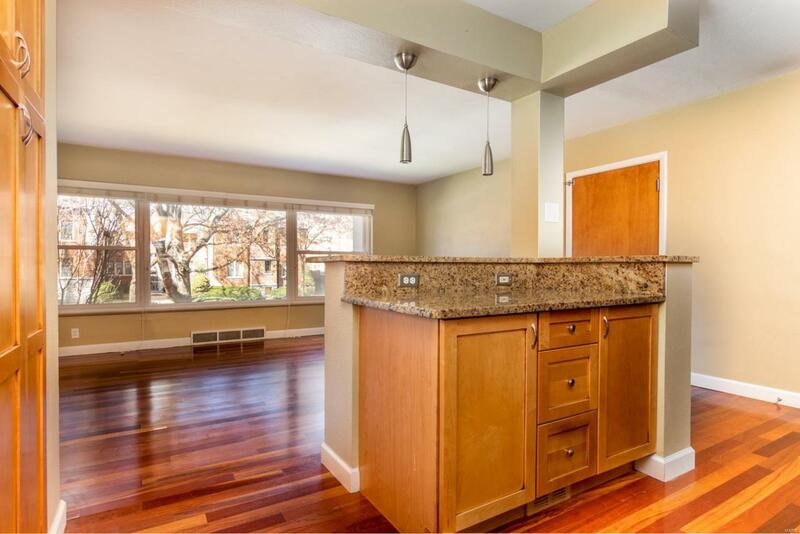 Kitchen opens to living room with abundant natural light and beautiful Brazilian Teakwood floors throughout the home. 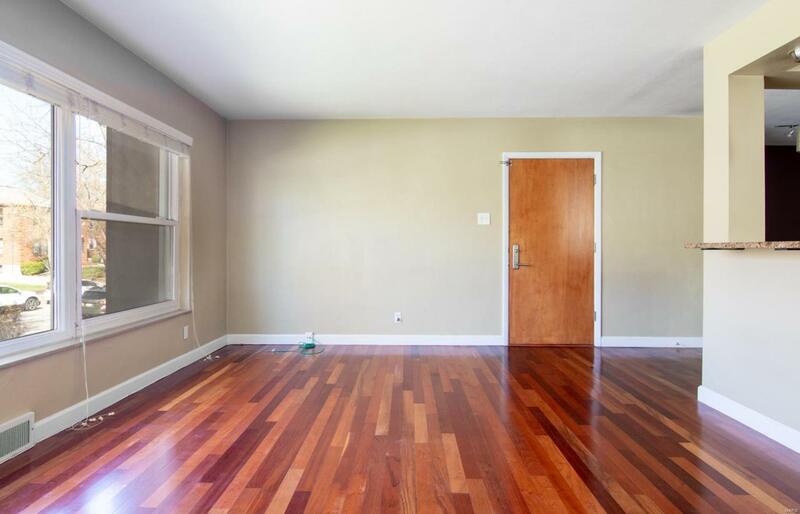 Two bedrooms including the master suite which features a walk-in closet and spa-like bathroom with glass enclosed shower with custom stone work, ceramic tile floors and ceramic counter vanity with maple wall cabinetry. Stylish second full bath features jetted oversized tub/shower with custom stone tile, pedestal sink and ceramic flooring. Washer, dryer, and refrigerator are included. 1 car assigned parking in garage and storage space in basement. 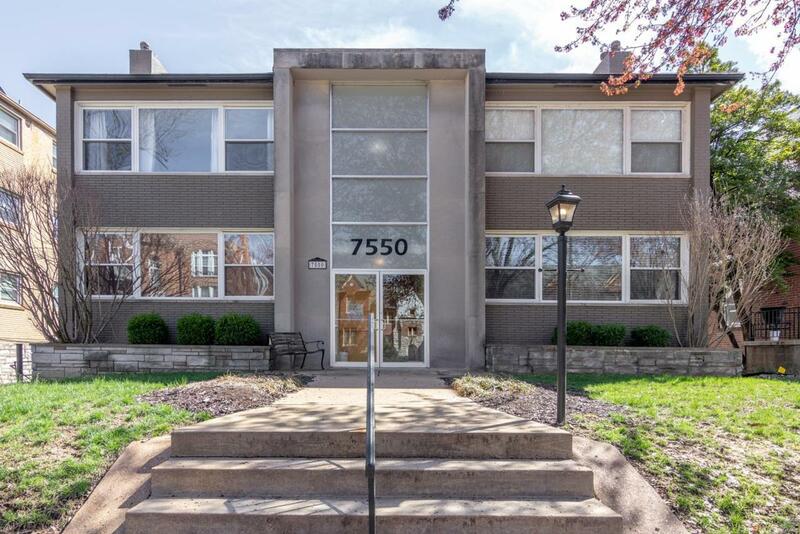 Beautifully maintained building on tree-lined Moorlands street includes updated systems and newer windows! Cross Street Address Clayton Rd.